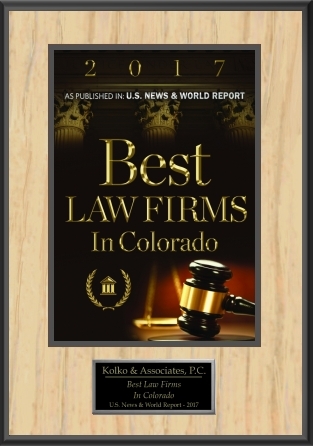 Denver Immigration Attorney Denver CO Immigration Lawyer Kolko & Casey, P.C. At Kolko & Casey, P.C., we understand that U.S. immigration law affects the most fundamental aspects of business and people's lives. It affects whom employers can hire, where people can work, and for whom they can work. It affects whether married people can live together and whether parents, children and extended families can live in the same country. That is why our firm is dedicated to providing the highest quality legal services to our clients: It's not just law, it’s your business and life. Welcome to Kolko & Casey, P.C. Kolko & Casey, P.C. is a located in Denver, Colorado and we are a highly experienced team of legal professionals dedicated to the field of U.S. immigration law. Our firm is recognized as a premier law firm for the representation of businesses and individuals in the complex and constantly changing field of immigration law. All of the attorneys at Kolko & Casey, P.C. work with a team of highly trained professionals whose education and life experiences are truly exceptional and are exactly what is required in today's technical and complex immigration landscape. Although we are based in Denver, Colorado, we represent clients from across the globe. Our office can provide legal services in virtually any language, including Spanish, Portuguese and Korean. Our legal services span the full range of immigration and naturalization needs, including temporary employment and tourist visas, investor visas, family-based and employment-based permanent residency (green cards), self-petitions for residency under the Violence Against Women Act (VAWA), waivers of inadmissibility, naturalization (citizenship), and visas for students, athletes, artists, cultural exchange visitors, persons of extraordinary ability and certain crime victims. We provide legal counsel and representation to employers regarding I-9 compliance and E-Verify. We assist individuals fleeing persecution or who fear harm in their home countries with applications for asylum protection in the United States. Our office represents clients facing removal or deportation in the U.S. Immigration Court, the Board of Immigration Appeals, Federal District Court and the Circuit Courts of Appeals. We also regularly provide consultation to criminal attorneys regarding the immigration consequences of certain guilty pleas and convictions in criminal court. Our skills and expertise, combined with our commitment to customer service and client satisfaction, distinguish us from most other immigration law firms. Our clients are why we are here. 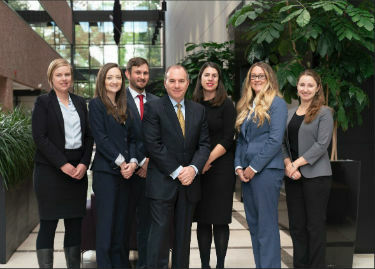 We invite you to get to know us through our website or to schedule a time to visit our office for a personal meeting and legal consultation with one of our attorneys. We would welcome the opportunity to get to know you and to show you who we are and what our team can do for you.